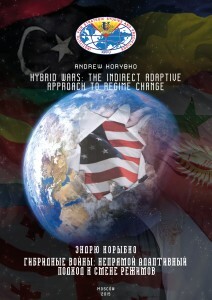 Hybrid Wars: The Indirect Adaptive Approach To Regime Change 0 out of 5 based on 0 ratings. 0 user reviews. 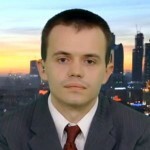 Andrew’s revolutionary research ultimately shows that it was the US, not Russia, which spearheaded the use of Hybrid Wars, and that given his proven findings, it’s irresponsible to even call Russia’s alleged involvement in the Ukrainian Crisis a ‘hybrid war’. In fact, the US is far ahead of any other country in practising this new method of warfare, as no other state has attempted a Color Revolution thus far, let alone transitioned it into an Unconventional War when their initial regime change plans failed. While some many think that such occurrences are spontaneous and happenstance, Andrew documents how Hybrid Wars are not only created from the ground-up by the US, but how they’re specifically deployed in areas where they’d be most geostrategically advantageous for the promotion of its unipolar policies. Gee, i wonder who runs America? Yep all those capitalist are dyed in the wool Marxists-that is why they overthrow every socialist country in the world without fail.